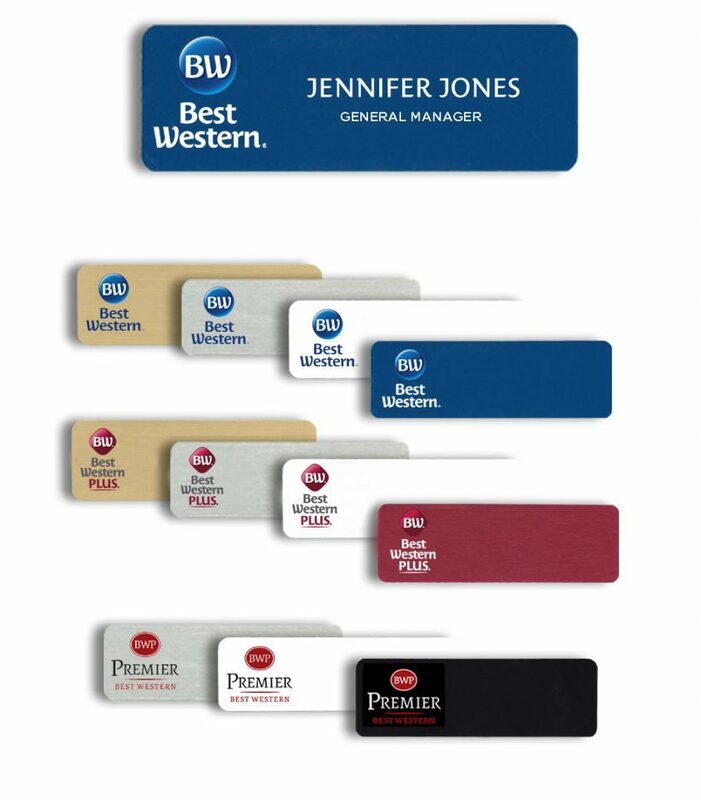 Best Western name badges and Best Western name tags. 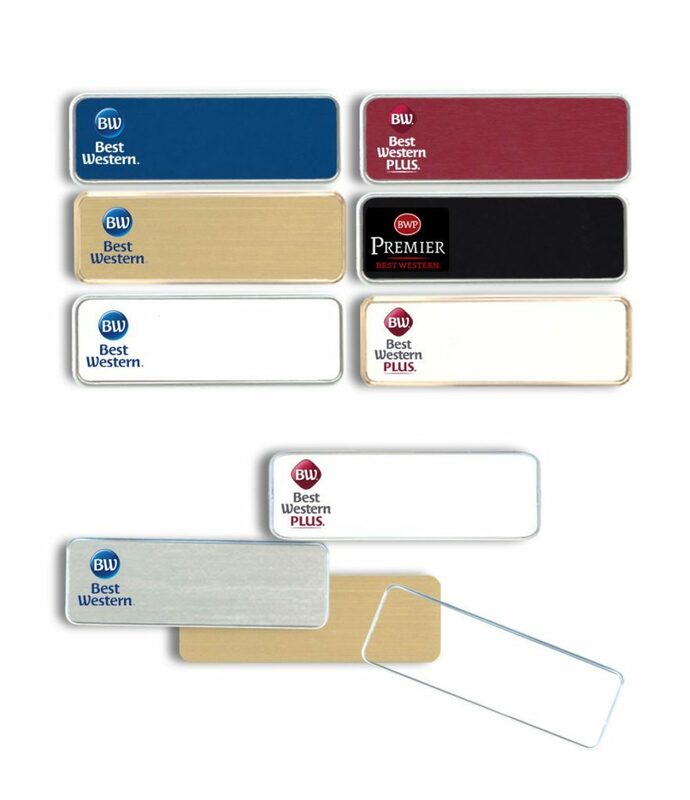 All Best Western badges are available with magnetic triple strength holders, Pocket sliders, swivel clips and pins. Products by Name-badges.com Inc.